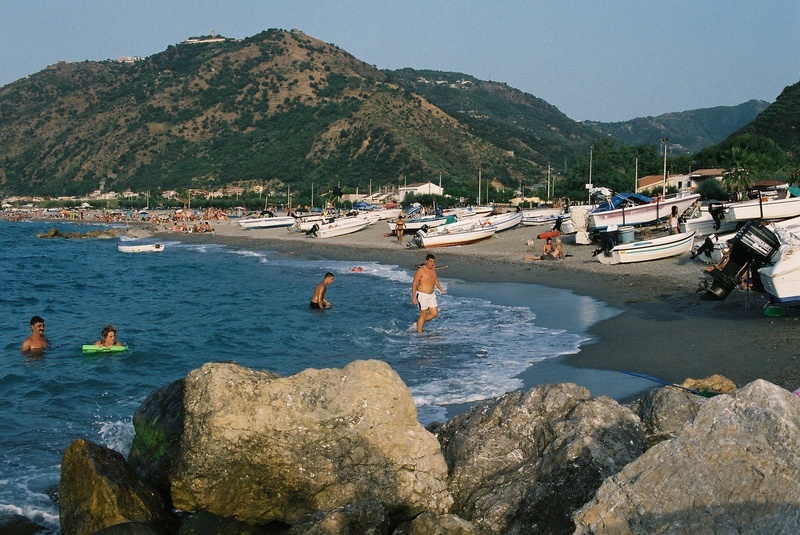 Italian tourists swimming and enjoying the beautiful Brolo beach. This is a low resolution image for fast display. Originals are of the highest professional quality with superb colour tones and printed on professional photographic paper.